The library media center is open from 7:45 am until 3:00 pm each weekday, allowing students and faculty time before and after school hours to visit the facility. *These hours are subject to change without notice. Our library has over 11,000 resources available to support instruction and provide recreational reading for students and staff. The collection contains books, E-books, magazines, videos, DVDs, and CDs. Flexible scheduling is used in the media center. 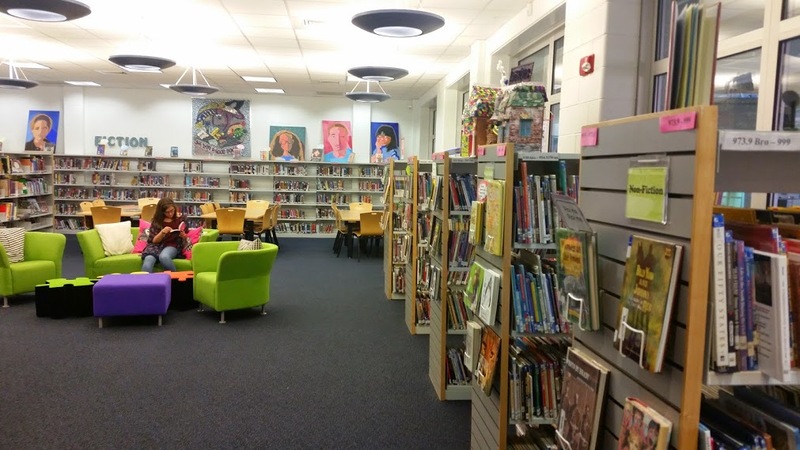 Entire classes, small groups, and individuals may use the media center on an as-needed basis. A pass signed by a teacher is required for an individual student to use the media center during classes and during lunch. Students are required to use their school id # (lunch number) when checking out books. Students may have up to two items out at the same time; the loan period is four weeks. Students may renew a book one time if no one else has requested to borrow the same book. Students are responsible for paying replacement costs for library items that are lost or damaged. Students with overdue fees and/or lost books will need to clear these fees to continue to check out materials from the media center. Please contact media specialist Mrs. James if you have any questions.